Every face is unique and has unique features, all differing in size and shape, so it stands to reason that there is no ‘perfect nose’. Nevertheless, there are some proportions that are accepted as being more desirable when it comes to our features. It’s important to understand that small variation in feature proportions are noticed between sexes and generally across races as well, however, there are so many variations within any particular group that it’s difficult to say what the ‘classic’ nose for those groups are. 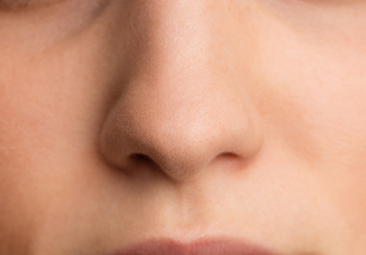 Many noses require surgical treatment to correct the size and shape of the nose. However, if you have minor defects non-surgical rhinoplasty may be an option for you. This treatment can help to correct minor imperfections and may be suitable for you if you do not need reduction surgery on your nose; it is important to note that this non-surgical option is not designed to replace any surgical option. Prior to treatment, your medical practitioner will assess is the symmetry of your nose, the proportion of your features and any imperfections on your nose to see if you are a suitable candidate for treatment. If you would like to discuss treatment for nose imperfections, please do not hesitate to contact our friendly team who will happily arrange a consultation for you.